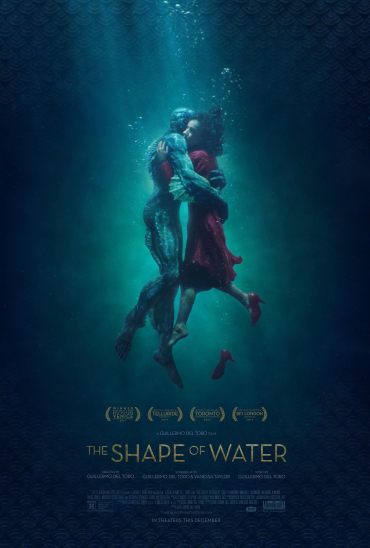 The Shape of Water has earned thirteen Oscar nominations, one short of tying the record. The movie got a 92 percent “fresh” score on Rotten Tomatoes. Professional critics, in their widespread acclaim for what is, at best, a mediocre movie, have committed a dereliction of duty. The thirteen award nominations are galling and further evidence that the world has gone mad. 1. The monster character had no depth. A wild beast with a soft soul? How many times has that already been done? (King Kong, Beauty and the Beast, Terminator 2, basically all “bad boy” movies…) Can we not be a bit more imaginative? 2. The characters were too cartoonish (the no-nonsense black housekeeper, the emotionally-unavailable military villain, the self-sacrificing man of science). Plus, it is unimaginative, absurd, and unrealistic for two housekeepers to steal the American government’s most precious military object with little more than a laundry bin. The dialogue, except for Richard Jenkins’s bathroom soliloquy, was inexcusably dumb. All of the above made it impossible for me to suspend disbelief and get emotionally absorbed. 3. Could the writers have drawn up a more cliched villain? Michael Shannon [who I really like as an actor (I like all the actors!)] plays someone who’s overtly racist, a misogynist, and an animal torturer. Why not make him homophobic while you’re at it! Why not have him drown a sack of puppies just to underline the point? Having a character perform a sequence of terrible deeds (so that we may identify him as “the villain”) is disrespectful to an adult’s intelligence. Actual evil — real, scary, compelling evil — must be mixed with charm or mystery or something enigmatic. It must be mixed with a creditable backstory. There have been more layered villains in children’s picture books! You can’t just give a steel-jawed man an electrified club and have him utter a few racist remarks and expect us to wee our knickers when he comes on screen. Throughout the movie, I kept thinking, What does Del Toro think we are, children!?! 4. Including a movie subtheme within your movie shows that you, as storyteller, are out of touch. In this story, we have the Richard Jenkins character watching movie musicals. We have the ridiculous and cringingly-flamboyant woman/monster musical number. And we have most of the movie taking place above a movie theater—the symbolic value of which escapes me. Hollywood loves these self-congratulatory self-references. In the past six years, three movies about the entertainment industry won Best Picture [Birdman (2014), Argo (2012), The Artist (2011)], and last year La La Land (2016), about an aspiring singer and actor in Los Angeles, took away the most awards with six. Only .000001% of Americans have any real relationship with Hollywood or the entertainment industry, yet so many singers sing about songs, so many writers write about writers, so many movies are about movies. Artists must make a real and deliberate effort to tell stories that are about real people, and that have real relevance to people’s lives. We cannot fall back on telling stories about our elite and tiny bubble. 5. What was the symbolic value of Michael Shannon’s putrid fingers? A materialization of his moral decay is the best I can come up with, and, for the filmmaker's sake, I hope I'm not right. 6. What was the thematic value of Michael Shannon’s devotion to consumerist accumulation? His nice home, his beautiful family, and his reoccurring Cadillac? Was the degradation of the Cadillac commentary on the shallowness of American materialism? Was the movie saying we should value love over things? Could the filmmakers have chosen such a hackneyed theme, or am I missing something? 7. The movie had a chance to spice things up with a dramatic heist, but the heist was uninspired, unsuspenseful, and anti-climatic. 8. The monster had random healing powers. Not only is this a knockoff of Wolverine and E.T., but it is a shallow and convenient plot device that let’s the filmmaker kill a character and then bring the character back from the dead. Richard Jenkins’s hair grows back after the monster touches Jenkins’s bald head. Does this mean that baldness is something that needs healing? How would the monster know Jenkins was ailed by his baldness—does the monster have insight into America’s standards of male beauty in the early 1960s? 9. Gratuitous disfigurement is utterly pointless and a lazy way of getting an emotional reaction out of an audience. Del Toro has a thing with facial disfigurement. In Del Toro’s movie Pan’s Labyrinth, the villain (who is almost as character-less as Michael Shannon’s villain) has to stitch up a gruesome cheek wound in front of a mirror after a knife attack. In The Shape of Water, Dimitri gets shot in the face, leaving him with his own gruesome cheek wound. In both movies, the injury serves little-to-no narrative purpose, other than to momentarily make the audience squirm in revulsion. 10. Please, storytellers, put an end to the Bible allusions! (Unless it’s a religious movie!) The super evil Michael Shannon character gives a Bible lesson to Delilah (the black character) on the story of her namesake’s biblical character. Biblical analogies get under my skin. It’s lazy symbolism. It’s pseudo-intellectualism (“I’m going to give this story a second layer of meaning by giving characters biblical names!”). And it’s a desperate attempt to enhance character depth. We see these Bible allusions all the time in stories. Think of random Biblical recitations (Pulp Fiction), wanton use of Biblical names (There Will Be Blood), heroes sacrificially dying with outstretched arms (Braveheart). Lacking some deeper symbolism? Just impale a palm. Why do writers even feel the need to pay homage to the Bible, which may very well be history’s most overrated piece of literature? Let’s tell our own new story, with symbolism of our own, with non-derivative characters, without feeling the need to legitimize ourselves as writers by referencing nonsensical stories from the ancient past. 11. The transformation of the monster should have been challenging, but really all it took were a few hard-boiled eggs. 12. I’ve read that Del Toro wanted the movie to serve as an adult modern-day fairy tale. This may explain the cartoonish settings, the archetypal characters, the simplistic dialogue. But you can’t just dismiss all of my above criticisms because “You don’t get it, it’s just a fairy tale!” All that matters is whether or not the story has emotional resonance. It must make you feel. It must sit in your gut. It must make you care about the characters. I went to this movie to have this experience, but I resented the child-like presentation. I refused to be duped by something so half-hearted, so callow, so stylistically-driven. 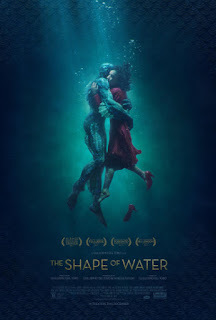 There were a few visually beautiful scenes (the love scene in the water-logged bathroom, for example), but visuals are wasted when they’re not part of a story that works. It's such an odd thing, throwing your book out into the world. You may be content with the book, but there's simply no way of knowing how the rest of the world will receive it. You probably think it’s at least pretty good. Why else would you take the time to write your book and share it with the world if it’s not at least pretty good? But of course you have doubts, too. You, as writer, can certainly imagine critical responses because you’ve been criticizing your book all along. So it’s nerve-wracking and exciting publishing a book. You have no idea if you’ve written a runaway bestseller or quite possibly the worst book ever written. That’s why early book reviews are so emotionally potent—they’re either confirmations of your greatest hopes or auguries of your greatest fears. Two early book reviewers are Kirkus and Publisher’s Weekly. They publish reviews months before other book reviewers, and months before your book actually publishes. For my first book, Walden on Wheels, Publisher’s Weekly called my writing as thick as “pancake batter.” Kirkus called it a “middling” memoir. I hope you don’t mind if I take the liberty of placing yourself in my shoes to show you how traumatizing these early reviews were. Imagine yourself as a first-time 29-year-old author. You’re confident enough to take on such a project, but you’re also insecure enough to be terrified about everything that could possibly go wrong. You’ve just devoted two-and-a-half years of your life to this book. You have no idea if your book is any good. And then you read your first two reviews in which the reviewers savage your book. You wonder if you have any business calling yourself a writer. Should you decide you’ve improperly labeled yourself as a “career writer,” you will now have to start from scratch if you decide that it’s more responsible to become a teacher or a nurse, due to the fact that you have no other training or useful skills. Meanwhile, all your friends have been in their careers and have been watching their incomes rise for a good many years. Worst of all: You won’t get to read another review for another two months. This all triggered a rather unpleasant 30-year life crisis, which lasted about three months. The crux of the crisis was this: What am I going to do if I’m not made out to be a writer? I recognize now how I was wrong to compare my life to my peers' lives, as if life is a race in which I needed to keep up or get ahead. I recognize now how it’s perfectly alright to start a new career at any age. I recognize now that many authors fail early and succeed later. Yet my feelings were very real and human and ordinary: I wanted financial security; I wanted to write only if other people thought my stuff was worth reading; more than anything I wanted direction—I wanted to know what I was and what I was supposed to be doing. Thankfully, the book did quite well. Other critics liked it. Amazon readers gave it mostly positive reviews. It sold (and continues to sell) fairly well. And I got a good deal of press. 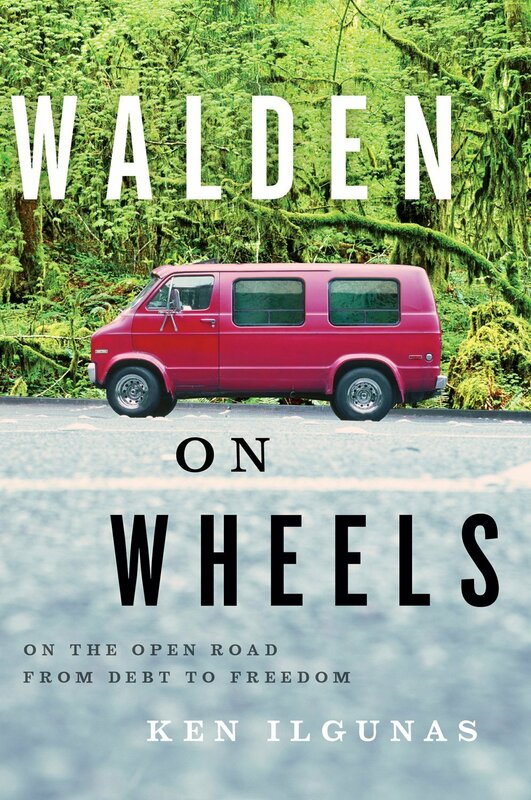 Taking all of the above into consideration, I now feel confident enough about Walden on Wheels to say that those early book reviewers were wrong, even if my prose can indeed be as thick as pancake batter. The success of the book helped me get past my crisis, and while I’ve wavered over the years on the subject of my career path, I more or less committed to the life of the writer. This realization (let’s also call it a decision) — that I am a career writer — has done more to release me of existential anxiety than any other. 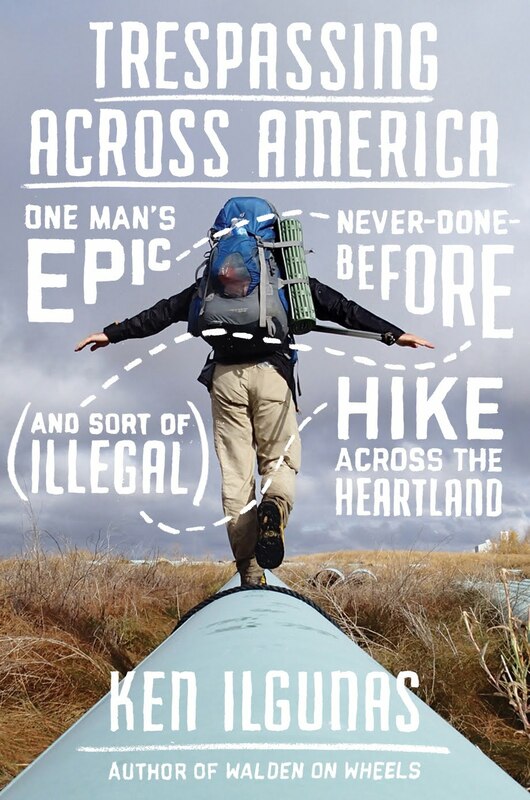 For my second book, Trespassing across America, Kirkus called it “preachy” and I don’t think Publisher’s Weekly even bothered to review it. These reviews didn’t bother me so much. My confidence was stronger and dealing with early criticisms was easier. 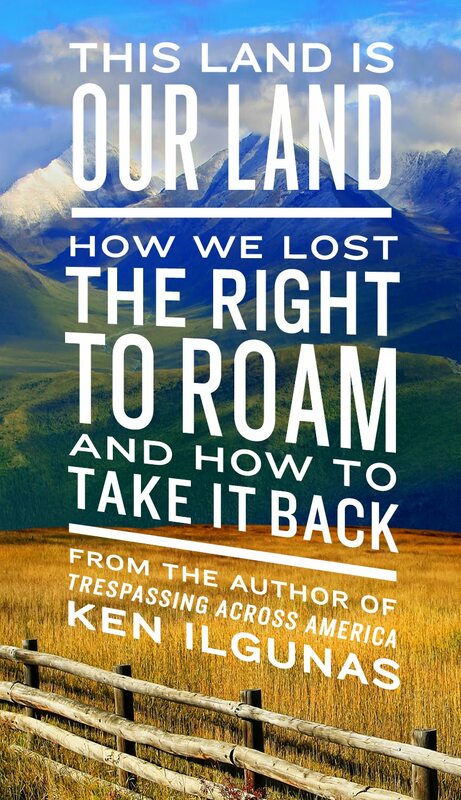 The first review of my latest book, This Land Is Our Land (publishing April 10) just came out, and it was one of the nicer reviews I’ve read. Never before has anyone acknowledged my research (the reviewer calls it “heavily researched”), and the reviewer was kind enough to notice the grandness of my ambitions and acknowledge that I was aiming for a “profound cultural shift.” Indeed! This early review brings me a great deal of comfort. For now at least. How did you become interested in Thoreau? I can’t remember when exactly I became interested in Thoreau. He wasn’t assigned in high school or college. I think I was coming across his name in other books I respected, like Into the Wild. In my early twenties I had this unquenchable thirst for knowledge. I wanted to watch every important movie and read every important book, so his writings were just part of a long list of stuff I wanted to consume. Can you describe your first encounter with Thoreauvian ideas? That’s a tough one to answer. Aren’t Thoreauvian ideals already a part of the American subconsciousness? Even if we never read Thoreau, our culture can’t help but acquaint us with Thoreau’s values. More than often, we become aware of the practice of civil disobedience without knowing about Thoreau’s seminal essay on the subject. We look at nature reverently and romantically because of Thoreau’s and other romanticists’ nature writings. So I think I was probably “Thoreauvian” well before I first heard about Thoreau. But to answer your question more concretely, I was around 22. It was the perfect time for me to be exposed to Thoreau. To have been introduced to him in high school or college would have been premature because I just didn’t have the life experiences that would have made his writings relevant to me. Later on, in my early twenties, Thoreau became relevant. I was heavily in debt, I’d been working as a cart pusher for the Home Depot, and I was beginning to get really suspicious of the consumerist culture and overly-suburbanized landscape around me. My work was soulless, my life was nature-less, and my bank account was nearly money-less. Thoreau’s book would speak to all of these issues. Thoreau, to me, wasn’t quite an epiphany or some ground-breaking discovery. I’d been thinking about a lot of the stuff he had written about on my own, so, more than anything, he helped put words to thoughts, validated my own critical observations, and simply made me feel less alone. Walden has inspired many imitators, many of them cabin builders of one kind or another. Your Thoreauvian adventure is unique. 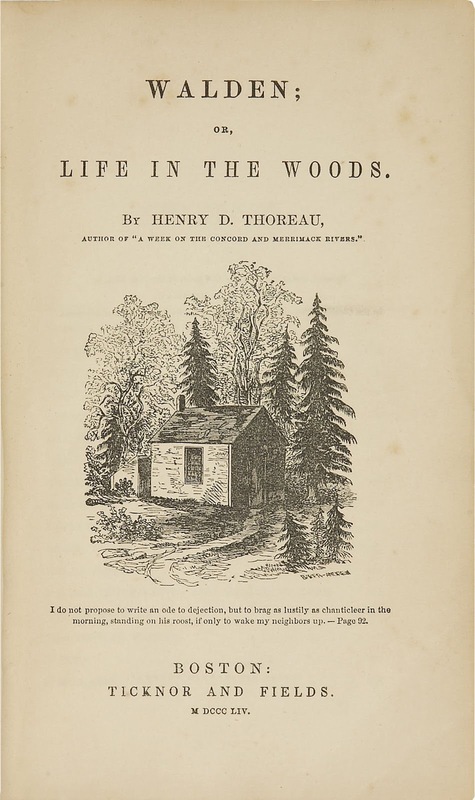 Can you explain how "Walden" made its way into the title of your book? Inspiration to live in my van came from a few places. When I worked up in Alaska for a few summers, I met people who were living in their vehicles or in small cabins in semi-subsistence villages. Their examples showed me that there are other, more creative, and less expensive ways to live and house yourself. Thoreau’s cabin experiment was another useful example of a creative housing arrangement, but he adds something else—an element of asceticism. An ascetic performs his or her act with a public context in mind. He shares his experience with the world. And that's when you go from being a merely frugal person to an ascetic. An ascetic is someone who does something as a stunt. The stunt could also be for personal reasons, but there is always a public component to a stunt. And Thoreau, through his publishing and also by conducting his experiment so close to town, was participating in a very public act. He was a stuntman. 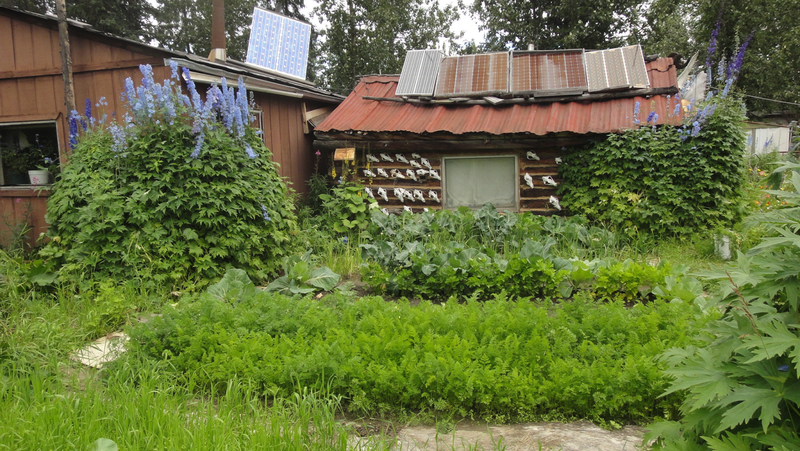 I think I was combining these clever Alaskans’ housing arrangements with Thoreau’s ascetic performance. In other words, I’d move into my van to live cheap, but I’d blog about my experience to hopefully say something that needed to be said about society. 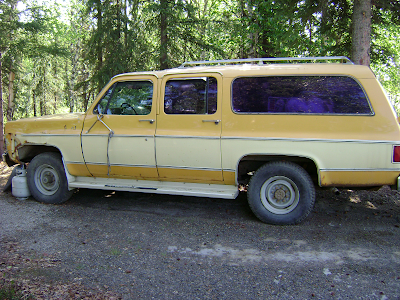 Chevy Suburban, home to a man named James, who lived in this vehicle for six years in Coldfoot, Alaska. As for "Walden" in my own book’s title (Walden on Wheels), I was really hesitant about including someone else’s book title within my own. And I was thinking about this when I was writing my book. I didn’t want to be constantly referencing or alluding to the writings and deeds of dead men. Too many writers do this. Their books have more quotations from dead men than their own ideas. I think we’re scared to publicize our own opinions. I think this fear comes from our educational backgrounds: when writing anything in college, we have to carefully study, reference, and quote other people. Later on, we feel this unhealthy compulsion to legitimize our thoughts by fitting them within some sort of intellectual legacy. To some extent, it’s admirable, even necessary, to acknowledge the shoulders of the giants we stand on, but too often do our voices get lost amid all these references to the people of the past. Some people go on journeys in homage of someone else’s journey, which is a bit crazy to me when we could, with a little more effort, do something no one has ever done. I’m pretty sure Thoreau wrote about this stuff. At least I knew Emerson did, who complained that our age is too retrospective. “Why should not we also enjoy an original relation to the universe?” Emerson wrote. So, yeah, because transcendentalists were writing about this stuff, I was especially hesitant about placing someone else’s title within my own when the whole point of my book was to be something new. But I suppose I thought the title, Walden on Wheels, sounded nice, and it was a lot better than my second-best idea—Vandweller. Were you self consciously imitating Thoreau? Not really, but before I committed to the van, I considered secretly building a hut in the woods. 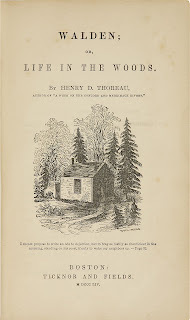 At one point I even considered building a little coffin, or underground “hutch,” and just living in that, inspired as I was with Thoreau’s passage about living in some such box. With the van, I suppose you could say it was more inspiration than imitation. While my experiment certainly had similarities with Thoreau’s, there were fundamental differences. Part of his experiment was living in nature, while I was living in a parking lot next to a busy main street. He was growing his own food and chopping his own wood, while I bought my food at grocery stores and enjoyed the indoor heating systems on campus. The main similarity was that Thoreau had done something ballsy, and I was in the mood to do something ballsy. If there was any imitation, it was that. I think some people will read Walden on Wheels and be inspired to imitate what you did in some way. Was that your intention in writing the book? What do you hope readers will get out of it? 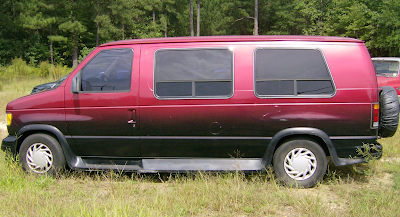 My intention was definitely not to start some sort of vandwelling movement, though I would have been happy to take credit if such a thing happened. My intention, rather, was to write a book that my 17-year-old self would have enjoyed and benefited from. And I suppose, with that in mind, I’d hoped other young men and women might get something out of it, too. I’d recognized that my book was a book that needed to be written. For one, the country had a huge student debt (and general debt) problem, but not one book, up until mine, had been written from the student debtor’s perspective. That was crazy, considering that there were like 35 million student debtors. (Now there are 44 million.) Two, I think we needed another Into the Wild-type story (about a young person getting off the school-debt-career conveyor belt), but that didn’t end fatally and that was written from the protagonist’s point of view. And three, I thought people would benefit from living more freely, adventurously, and creatively, and I thought a book about an ordinary person who makes a few bold decisions that lead to even bolder decisions could provide a helpful example. Really, I wanted to do what Thoreau’s book did for me, which is to show that we can take our crazy ideas and turn them into realities. My book is about the influence of Thoreau in the 21st century. What can we learn from Thoreau in this age of smart phones and streaming television? Much of what Thoreau has said has been absorbed into the greater culture or expanded upon by subsequent writers, naturalists, and environmental thinkers. So you could make the argument that Thoreau isn’t exactly “required reading.” Yet I think we all like to point to, and need, a rich intellectual legacy for our most beloved subjects. These intellectuals from the past give us the philosophical foundation which we can build on. And Thoreau, for many subjects, is the perfect foundation. He can be considered the dark-bearded sage for American naturalists, environmentalists, civil rights advocates, anti-consumerists, and right-to-roamers. Thoreau was a pro at crafting passages that can be quoted on postcards and calendars (or their future equivalent) for centuries. (Ex. “Rather than love, than money, than fame, give me truth,” & “The mass of men lead lives of quiet desperation.") This is a useful skill for somebody who wants their works to outlive himself. On another note, it helps that he doesn’t have any serious blemishes on his moral resume. He is a safe figure for we moderns to adore. Thoreau was sympathetic to the plight of Native Americans, accommodating to runaway slaves, outspoken about environmental degradation, and prescient in forecasting the demise of America’s open roaming culture. He was a good friend and family man. If there are examples of him being racist or sexist or some other “ist,” they are few and not serious, at least compared to his contemporaries. Teddy Roosevelt did more to protect American nature, but he's harder to celebrate for all the racism and warmongering. While Roosevelt, Muir, Whitman, Jefferson and most other thinkers have moral blemishes on their resumes, Thoreau has made it the to the 21st Century without alienating anybody. He’d fit in quite well here. He lasts, too, because he was a man of action. He didn't just discuss civil disobedience; he did it. He didn't just condemn the materialistic lifestyle, he built a cabin in the woods and lived in it for two years. When a person has lived a life of action, they're much more easy to romanticize and mythologize. Emerson was brilliant, and his essays "Self Reliance" and "Nature" are worth being immortalized, but Thoreau, more than Emerson, is a mythic figure — for the full and adventurous life he lived — which will make him, more than all of his literary peers, a figure for the ages. Thoreau wrote about the bustle of an industrializing America. He wrote about the compulsion to keep pace with our neighbors in money and material items. He talked about conserving wildness and nature in a rapidly changing world. These things haven't changed. In fact, they've gotten worse. Thoreau will only be forgotten and he will only become irrelevant when these things get fixed. There was a practical side to Thoreau's cabin on Walden Pond; he wanted to finish writing a book about his brother.Your motivations were also partially practical. What are the practical reasons for a person to "drop out" of a settled, mainstream existence in 21st century America? I think there’s always a practical element even behind the most high-minded motivation. The most obvious benefit to a Thoreauvian existence is simply having more time to yourself. And something as simple as an ordinary existence severely limits how much time we have. An ordinary existence requires a house or an apartment, and that requires all the amenities of modern life, from heat, to air-conditioning, to Wi-Fi, etc. We're then required to devote many hours of our day to working for a company, corporation, or organization in an office where we more than likely wouldn’t willfully choose to spend our time. More than often, such a job requires a vehicle. The sedentary lifestyle requires a gym membership. And all of a sudden we’re in this endless and inescapable cycle of work to pay for all these now-necessary things and keep the lights on. But turn the lights off, and forego all the usual comforts, and you no longer need to work as much, and you suddenly have so much more time for reading, writing, reflection, walking, sleeping, and all the things that, for me at least, matter most. In your book, you mention Thoreau's observations about how his neighbors hated the mundane drudgery of their lives, and yet, he was a person who enjoyed hard work and doing a job with integrity. Did your experience in the van make you reflect on the nature of work and its relationship to your life? To the lives of others? The end goal for me is not to escape work and live a life of decadent leisure, but to create a set of conditions that enable me to do the work I really want to do. And I think this desire comes from a series of jobs I’ve had that made me routinely miserable. I’ve been a cashier, cart pusher, dishwasher, landscaper, ice skate sharpener, short order cook, tour guide, and motel cleaner. Usually I was underpaid and often my work was unappreciated. I think I also felt, deep down, that the product of my work was ultimately unnecessary. I’ve spent a great deal of my working hours attending to the comforts of middle-to-upper class tourists. I’ve spent a great deal of time working for the fossil fuel industry, an industry I have no interest in supporting. Ultimately, if I didn’t exist and didn’t perform these tasks, the world would be no worse off. My situation was not unusual. So many of us spend our days selling some cheap plastic piece of crap that will be used once, or some garment to someone who already has a closet full of unused clothes. Let’s face it, a great deal of the work we do serves no useful, substantial purpose whatsoever, and I think this is often felt, if unconsciously. And when we spend forty hours of the week doing it, it makes our lives feel a little bit more meaningless. Yes, we may be very meaningfully feeding our families from the wages we make selling that plastic piece of crap, but in the best of both worlds, we produce or sell something meaningful and use our earnings on something meaningful. I consider myself a writer, but I also really enjoy the work of gardening, building fences and chicken coops, revitalizing soil, tending to an orchard and a flock of chickens. This is largely because these tasks, for me, existed outside the normal, company-based work routine in which we’re carefully monitored by superiors. Our break time is carefully measured. We work within a mostly uncaring corporate bureaucracy. We seldom get to enjoy or take part in the very products or services we’re providing. Our work is so unintegrated with our actual lives. Thoreau hoed his beans, chopped his wood, and built his own home, and I think there’s a deep and meaningful and unabstract pleasure that comes from seeing and enjoying and even tasting the fruits of our labors.